It's an interesting time for an international relations theorist when it comes to war gaming. I was recently invited to join the first in a series of war games held by a strategy organization of which I am a member. The situation was that one established global power, having passed through a brief unipolar moment, was now part of a three pronged force pulling it in three different directions. There was the rise of a former adversary, a declining power but nonetheless of one last bite, in an area that had been stable for 25 years, but which was now being pulled apart by forces beyond its control. The aspect involved a chance of being bogged down in an area, that was a massive source of trade and interest, but traditionally volatile. The third is the most important: an area where a great power had risen, and just like a new stellar body with a major mass it was exerting a major gravitational pull creating tectonic changes threatening major instability. I cannot go into the details of the results, or the strategies employed, so let's just say that, in four out of the five strategies employed, a conflict was started by small avoidable actions, which then snowballed into a major great power conflict resulting in major devastation, and deaths. There proved to be only one hopeful chance, and that's what I am going to discuss. 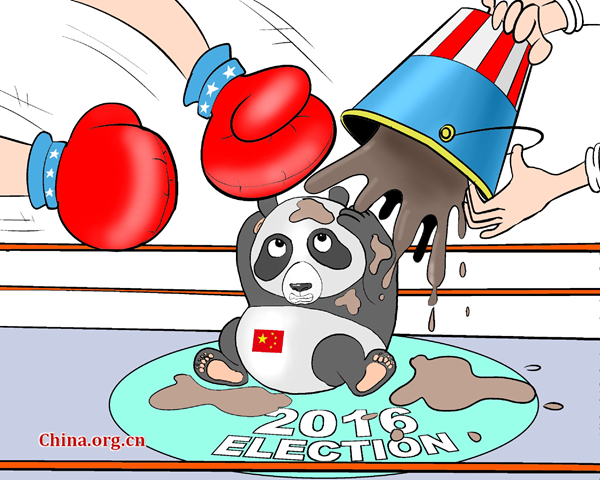 One doesn't need to look far to see this is a China-bashing time due to the upcoming U.S. elections. That's normal, and that happens every time. It's rhetoric but it isn't policy. However, a glance through some academic literature also hints at something new, while foreign policy magazines generally tend to be more sensational these days. The U.S. magazine Foreign Policy declared it was crunch time for U.S. and China, when it comes to Asian hegemony, while National Interest said Chinese strategy in South China Sea was building up to confront the American order. Not to be outdone, there was a policy paper from the Union of Concerned Scientists cautiously stating that China is putting its nuclear forces on hair trigger alert, while simultaneously mentioning that U.S. nuclear forces have been on hair trigger for over 50 years. War games analysis shows it's easy to start a conflict but difficult to stop it.